Rajnandgaon: At least 11 people lost vision in one eye after they underwent cataract operations at a private hospital here in Chhattisgarh, doctors said today. Cataract surgeries of at least 96 patients, mostly from rural pockets of Rajnandgaon, Durg and Balod districts, were performed on February 22, 23 and 24 at Christian Fellowship Hospital here Dr Thomas Abraham, Director of community-based eye services at the hospital, told PTI. Of them, 32 later complained of infections and 11 of them lost vision in the operated eye, he said. A Chhattisgarh government official said all the affected patients are being shifted to hospitals in Raipur for better treatment and an investigation has been initiated. On February 23, a total of 45 operations were performed by two surgeons in two sessions. Post-operation, the patients were examined by two senior surgeons and no evidence of any infection was found, Dr Abraham said. On February 26, two patients, operated on February 23, reported to the hospital complaining of infection in their eyes, he said, adding the duo had early signs of infection. Subsequently, a total of 32 patients, who were operated on February 23, complained of problems in their eyes, Dr Abraham said. 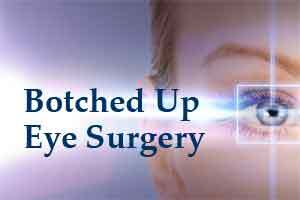 Later, they were sent for retina surgery vitrectomy to Raipur. However, of them, 11 people have lost vision in eye which was operated upon, he said. Eye surgeries performed on 22 patients on February 22 and another 29 on February 24 in the same operation theatre of the hospital by the same surgeon had no signs of infection, Dr Abraham said, adding samples of medicines used in the operations have been sent for examination. On getting information about the incident, State Director of Health Services Ranu Sahu said Chief Medical and Health Officer Mithlesh Chaudhary and other doctors were sent to the hospital for examining the affected patients. “We have received information that 11 people have developed severe infection in their eyes. Officials have been directed to shift them to Dr Bhim Rao Ambedkar Memorial Hospital and MGM Eye Hospital in Raipur for better medication,” Sahu said. An investigation into the incident is underway, she said.